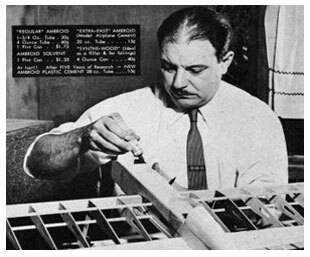 Consolidated Models, Inc. (CMI) was founded in 1939 by Arthur Hasselbach, Sr. CMI’s operations were first located in the Bronx, New York, offering customers and distributors prefabricated model airplane kits made entirely of balsa wood. Arthur’s idea to produce these model airplane kits began during his employment with United Aircraft, working in research and development for the US Military. Hasselbach was a model enthusiast, and wanted to make models based on the work he was doing for United Aircraft. Hasselbach started his hobby shop in the basement of his father-in-law’s print shop in the Bronx. When World War II began, there was an increased interest in models of fighter planes used by the military. Arthur responded to this interest and bought a cabinet shop and converted it into a manufacturing plant and storefront for his model airplane kits. He then purchased and merged six companies in the NY area and began his business (hence, the name Consolidated Models). CMI began with 20 employees and 65 distributors, yielding about 3,000 kits per day. Following the attack on Pearl Harbor, Consolidated Models, Inc. began production for the U.S. Military, fabricating model planes for Naval Intelligence. Scale replicas of allied and enemy aircraft were needed to train aircraft spotters to identify types of airplanes by viewing its silhouette. During the training process, the replicas were painted black and situated in a dark room. The trainer would shine a flashlight on a certain model, and the spotter would identify the plane. In addition to producing planes for training purposes, Consolidated Models also made replicas of US aircrafts for show in military offices around the world. Canopies for these planes were originally made from x-ray film. The process for creating canopies for model planes involved printing canopy patterns on the film, cutting out the patterns, and finally gluing together edges of the pattern to form the three-dimensional shape of the canopy. In order to increase efficiency and quality, CMI decided to update the method of canopy production. In the early 1950s, thermoforming was a new technology that involved feeding plastic film into the thermoforming machine, heating the plastic, allowing it to form to a mold, then cooling the formed plastic, allowing it to retain its shape. Arthur decided to begin thermoforming in-house. At that time, in the early years of thermoforming, representatives from a plastic film company would travel to a company’s location, and instruct them on how to build their own thermoforming machine in order to promote sales of the plastic film. Art rounded up his friends and workers around the shop and built the company’s first thermoforming machine, and canopies were made in-house. This evolved into plastic blister packaging for all types of components. In 1960, Consolidated Models moved to Cranbury, NJ from its original New York City location. The factory was expanded to accommodate new business and now, had a central location between New York City and Philadelphia.This allowed for accessibility to major ports in Elizabeth, NJ and Camden, NJ. 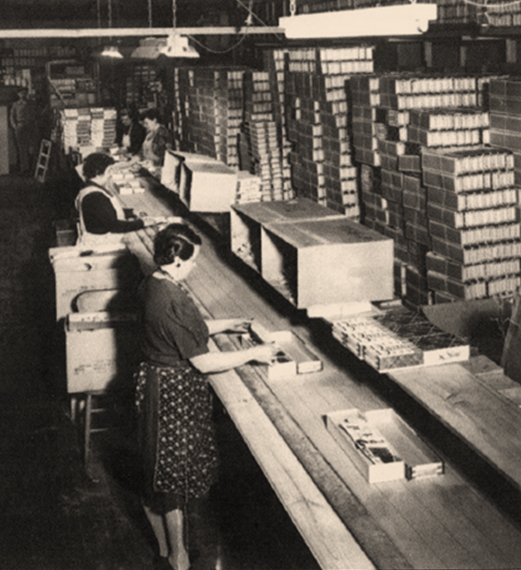 By the mid 1960s, Consolidated Models had grown its packaging business to account for 75% of total annual sales. 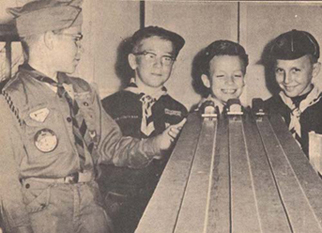 Arthur Hasselbach, Sr. created another company to handle craft kits with a main focus on the Pinewood Derby and Consolidated Models began fabricating and packaging the kits for the Boy Scouts of America exclusively. The business transformed into a forming and contract packaging company, and began to phase out its model kits. 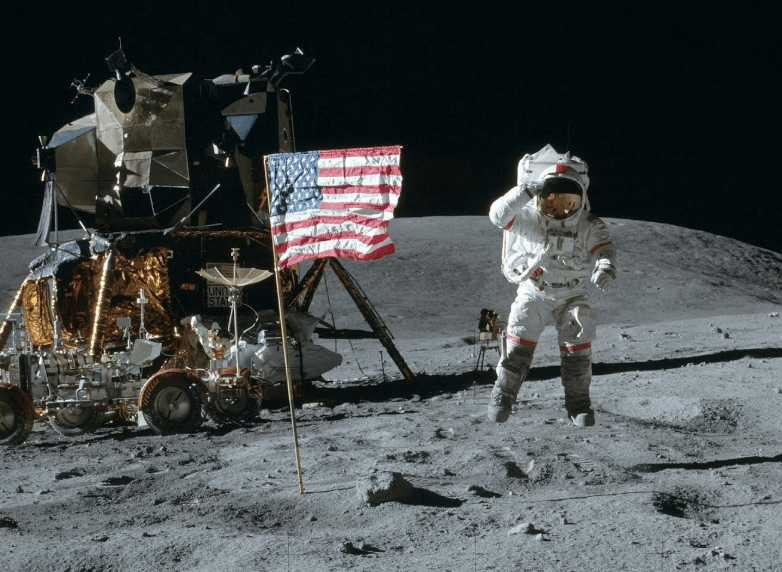 In addition to forming and contract packaging for retail distributors, Consolidated Models also worked on the Apollo Space Program. Through the 70s, Consolidated Models continued to grow its plastics forming capabilities, until forming and packaging became its complete focus. Arthur Hasselbach, Sr. created another company to handle craft kits with a main focus on the Pinewood Derby. CMI was now run by Arthur’s sons, Stephen Hasselbach and Arthur Hasselbach, Jr., who both worked in their father’s factory since they were in high school. The company took a strong turn toward medical packaging, focusing on projects for Johnson & Johnson. Stephen Hasselbach won several awards for excellence in Medical Packaging by creating clean cutting processed for inline forming jobs. Through the 80s, the company continued producing medical device packaging products, and expanded service towards the cosmetic and beauty industry. The company worked with companies such as L’Oreal and Parfums de Coeur. CMI continued quality production throughout the 80s, establishing its name asa quality job shop forming company. 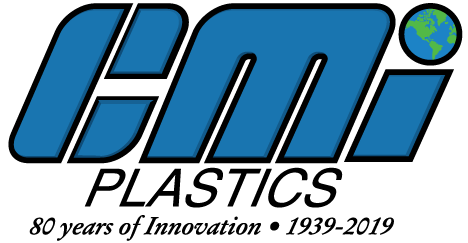 CMI’s focus was on roll fed thin gauge plastic thermoforming, cut sheet forming, injection molding, and contract packaging.CMI opened its tooling division in the 1990s. To accommodate the increased demand for quick turn-around, complex geometries, and rapid prototyping, all tooling work was done on location.